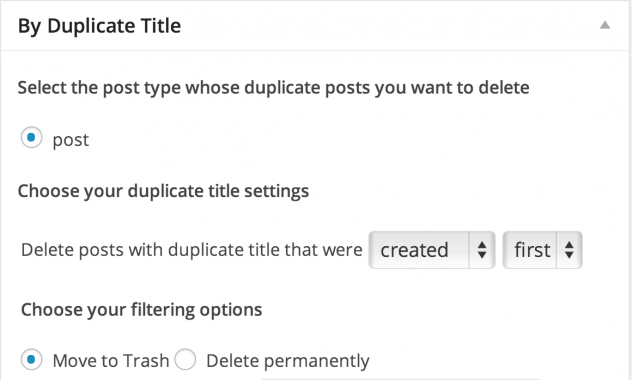 This addon adds the ability to delete posts by duplicate title. 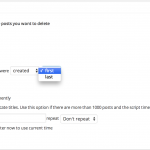 This will be useful if you have a lot of posts with duplicate title and you want to delete them. 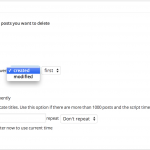 Whether to move the posts to trash or permanently delete them. 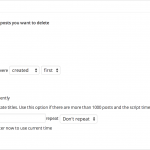 Delete only the first x posts with duplicate title. 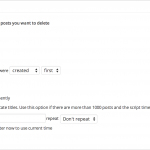 This addon only provides the ability to delete posts by duplicate title. 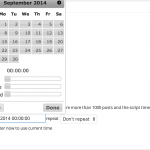 If you want to schedule deletion of posts automatically, then you would need the “Schedule auto delete of posts by duplicate title” addon.